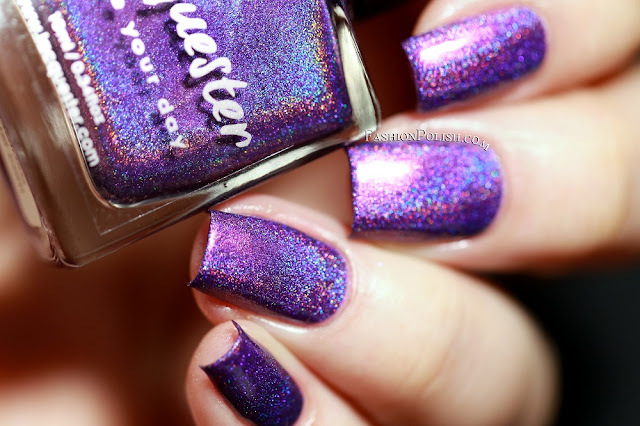 Fashion Polish: Lacquester swatches and review : Doomed Deluxe, Oopsie & P.O.S. 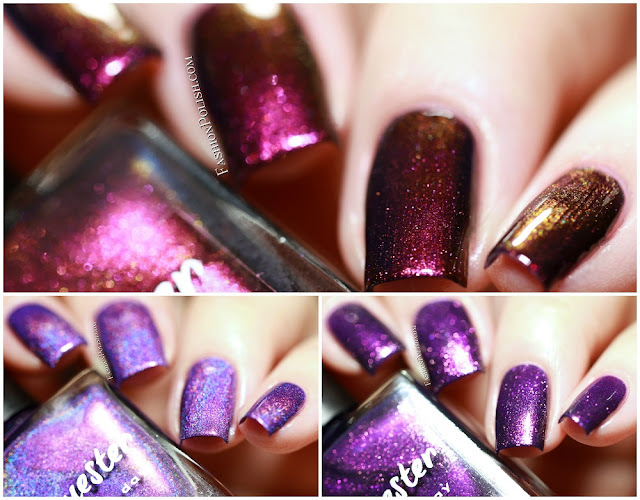 I have swatches of Lacquer Lust Doomed Deluxe, Oopsie & P.O.S. to share with all of you today! 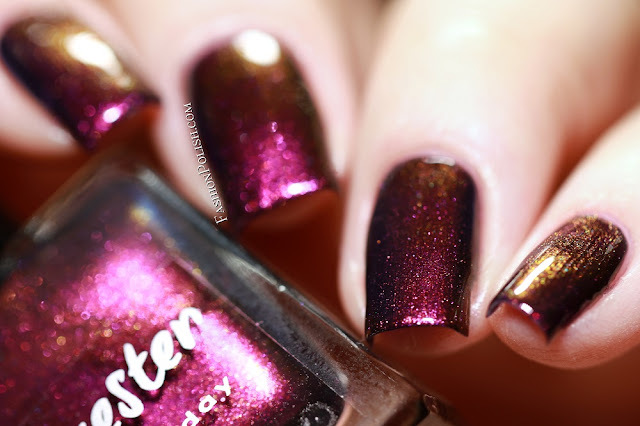 Doomed Deluxe is a vivid purple infused with red to copper color-shifting shimmer. 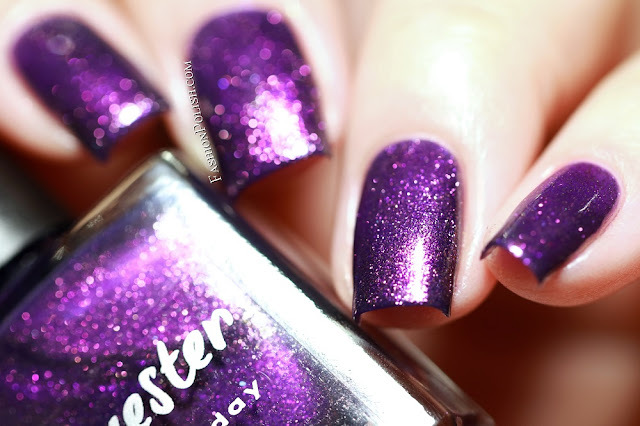 It's such a beautiful purple, I couldn't stop staring at my nails. I used 2 easy coats plus topcoat. Oopsie is a deep cool toned purple with gold to red to purple color-shifting sparkles. 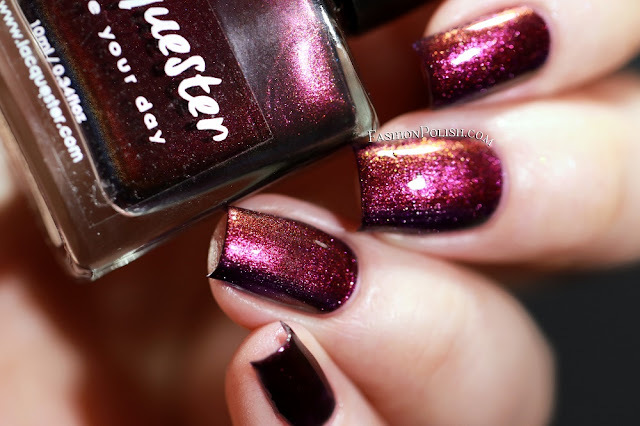 It's a color that really appeals to a vampy polish lover lie me. I also used 2 coats plus topcoat. P.O.S. is a dark blurple with a strong red to gold to copper to green color-shifting shimmer. 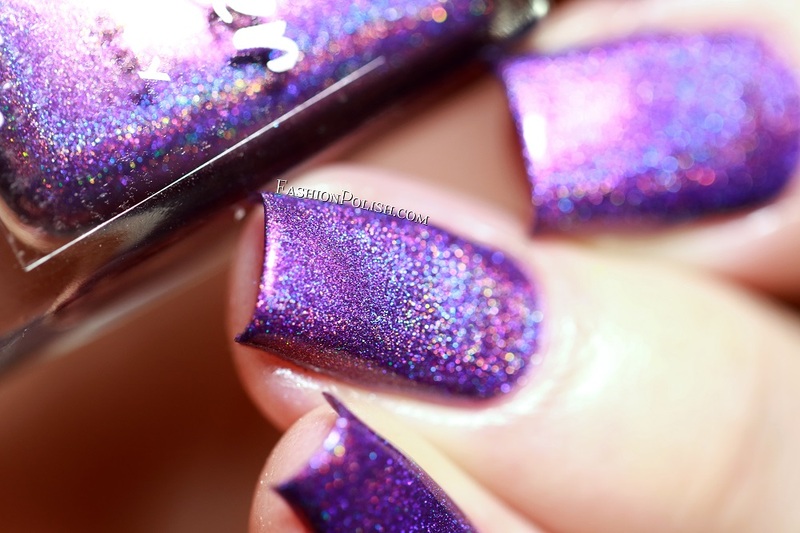 I love this one so much, the shifting shimmer is so mesmerizing! Again, 2 easy coats plus topcoat shown below. 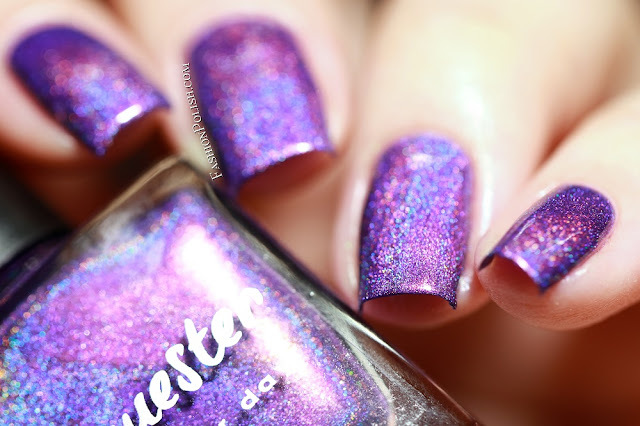 Lacquester can be purchased online on lacquester.com and color4nails.com. Individual colors retail for 8.50€ / $11.